Two new streamed channel portals are coming soon to Freeview, bringing viewers with connected Freeview TVs access to a wide range of free-to-air TV channels, plus on-demand factual content. Synapse TV, the company behind pay TV portal VuTV on channel 238, has announced that Simplestream's TVPlayer - already available as a service for mobile and tablet devices - will launch a portal of free-to-air TV services shortly. Also coming soon is a new factual portal. Planet Knowledge from VOD365 will provide viewers with hours of factual programming every month. 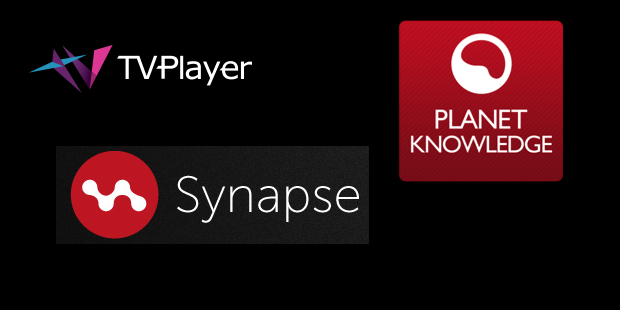 Details of which channels will be available the Freeview version of TVPlayer are to be announced in the coming weeks. Simplestream's Marketing Manager, Marie Ellis, told a516digital that the "general idea is that all free-to-air channels on TVPlayer but not on Freeview already will be on the TVPlayer portal." It's the latest boost to the streamed channel service via Freeview, which is available to viewers with compatible, connected TVs from channel 225 upwards. Recent months have seen the high profile launches of pay TV service VuTV and motorsport channel Motors TV. “We will use the technology we have developed to connect TV sets directly to streamed content, to bring TVPlayer to homes that have compatible Internet-connected Freeview HD TVs or boxes. We will deliver a whole range of streamed channels through a ‘portal’ application – much like the one we developed for VuTV – but in this case all the services will be free-to-view. Planet Knowledge from VoD 365, already available on Samsung Smart TVs, will deliver a wide range of on-demand, premium factual 3D, HD and SD documentaries and similar content across categories: history, nature, people and culture, science and technology, kids and travel. Each category will include over 40 hours of content with a refresh of between 10-20 hours each month per category. TVPlayer - Freeview/Freesat through your TV and a broadband connection! TVPlayer made a pledge around January of declaring 'intent' of adding Chromecast to its Android App 'before April'. With Chromecast arrival TVPlayer now have to show the cards utilsing the Cast SDK. The Cast SDK from Google is multi developer platform with Android, iOS and Chrome OS (Linux) all supported. There is also Google Chrome extensions through Chrome - Windows and Mac are officially supported. It would be nice if the Cast SDK in the future was extended to Windows Phone and Chromecast was also added for the iOS App - blurring Platform lines! TVPlayer and Vu TV goal is attempting to get its self on Smart TVs as within all the 'Freeview Connect' Genre has the most universal general appeal! Vu TV, Vision TV, Connect and Planet Knowledge all should try and bring to the Mobile ecosystem!